Tanqueray Malacca Gin is more well known for its absence from the market than anything else. Originally released in 1997 as a lighter, easier style companion to the iconic Tanqueray London Dry Gin, Tanqueray Malacca Gin was pulled from the market around 2001. For most spirits, being discontinued would be the end of the story, but for Tanqueray Malacca it’s really the beginning. The loss of Old Tom Gin is irreparable, although if you can get your hands on a bottle of the discontinued Tanqueray Malacca, you’ll come pretty close. As I see it, Tanqueray should be credited with bringing the first true New Western Dry Gins to market, initially with Malacca, which was quickly discontinued (perhaps because it was misunderstood), and later with Tanqueray Ten, an outstanding product that I believe really opened the door for free-thinking gin makers around the world to allow themselves a lot more creativity in their interpretation of this spirit. Between these two key nods to Tanqueray Malacca and the interest of craft bartenders and “alcoholic archeologists” like Jeffrey Morgenthaler and Bobby Heugel, the mythology around Malacca began to grow. As with many rare spirits, its scarcity created an intense and increased interest in it. Bobby Heugel from Anvil Bar & Refuge in Houston managed to get his hands on a good quantity of the discontinued spirit, which could fetch as much as $200 a bottle on Ebay (before Ebay banned alcohol sales). “Bobby partly funded his bar through the sales of Malacca,” comments Angus Winchester, Global Brand Ambassador for Tanqueray. The more cocktail luminaries crooned about Malacca, the more fervent the search for it became. In another clear example of the power of the current cocktail revival movement, Diageo, parent company of Tanqueray, relented and agreed to bring Malacca back for a limited run. Tanqueray Malacca is slated for release on February 4, 2013 in a limited run of 9,000 cases. The pricing hasn’t been formally set but it’s said to be between Tanqueray London Dry Gin which averages around $20 and Tanqueray 10 which is priced around $30 a bottle. Tanqueray Malacca Gin (40% / 80 Proof, price ~$28) may be a mythical spirit, but in the glass it’s very real. From the nose it’s clear that Malacca is in an entirely different class of gin than Tanqueray London Dry. 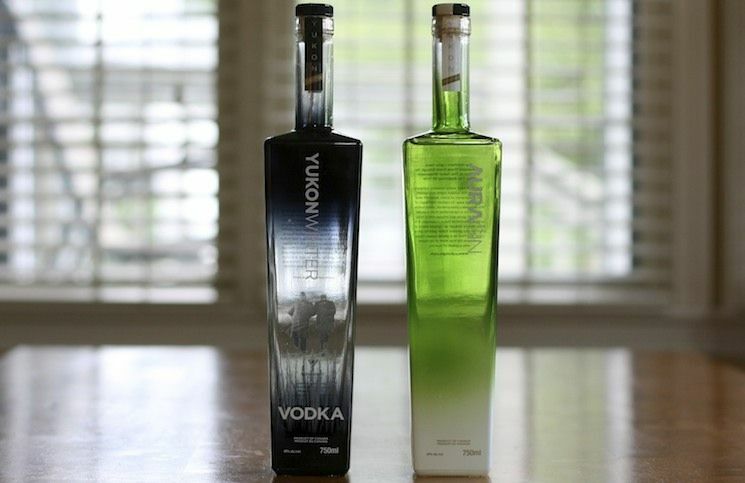 Whereas Tanqueray London Dry clearly leads with juniper, Malacca dials the juniper way back to harmonize with the citrus. 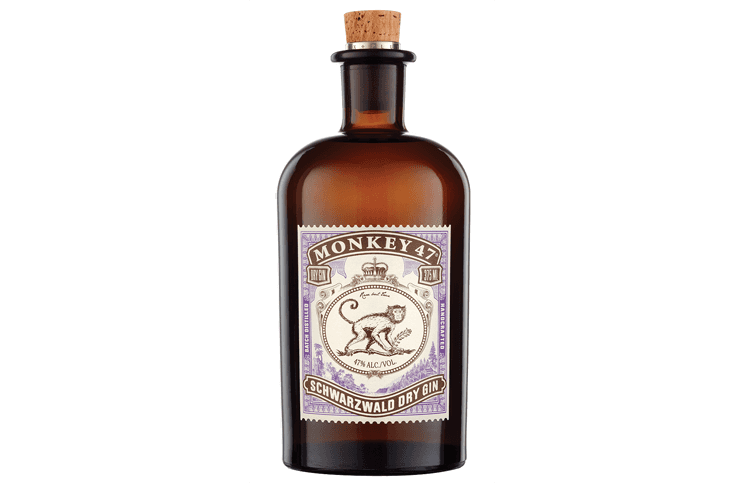 Malacca also adds grapefruit to the citrus in the mix making the nose more fruity than herbal. 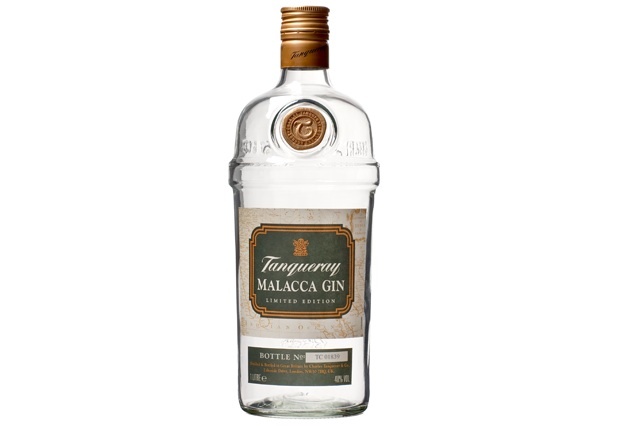 The entry for Tanqueray Malacca is considerably softer and less astringent than Tanqueray London Dry, partly due to its lower proof (Tanqueray London Dry is 94.6 Proof / 47.3% ABV while Malacca is 80 proof / 40%) but it’s also a result of the solid differences in the botanical levels. 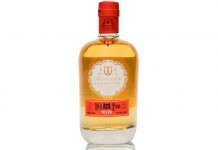 Citrus, rather than juniper, leads the entry with a slow and easy build to the spice in the midpalate. As we get to the spicy mid palate, juniper is definitely there but spicy cinnamon is also definitely a costar. There’s a hint of clove that comes in towards the end of the midpalate and that clove helps lead a long, spicy finish with the slightest bit of sweet citrus underneath. Tanqueray London Dry Gin is one of the benchmark spirits for the London Dry category, and tasting it side by side with the Tanqueray Malacca, the strong differences in style become amazingly clear. Tanqueray London Dry is an unapologetic celebration of juniper – strong, assertive and astringent – while Tanquery Malacca is more an expression of botanical balance: soft, citrusy and evenly spiced. Although Tanqueray Malacca is based on a 1839 recipe from Charles Tanqueray, its 1997 revival was way ahead of its time. We can see what a revelation Tanqueray Malacca must have been to craft cocktail bartenders whose only other gin options at the time were London Dry. Now, with the gin market so diverse, Tanqueray Malacca is just one of the many non-London Dry Gins available. But it’s still one of the better ones. Tanqueray Malacca Gin is a delicious gin, soft and flavorful enough to sip neat but with enough spice and structure to mix with. As with many of the New Western style gins, Tanqueray Malacca is great in an Aviation cocktail, it makes a great Martinez and, as described by David Wondrich, a tasty Turf Club. Malacca also does quite well with tonic like Q Tonic or Fever Tree. What we love most about Tanqueray Malacca is that it shows a real maturation in the gin market. Tanqueray Malacca is only available for a limited time, but its success may lead to Tanqueray pulling other gins from Charles Tanqueray’s legendary recipe book.